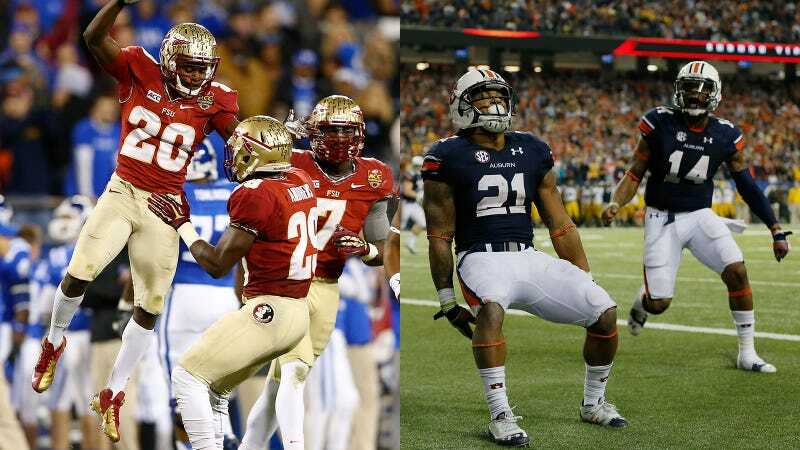 Which Experts Predicted A Florida St.-Auburn BCS Title Game? Originally published on Pundit Tracker. A few months back, we outlined the prediction ineptitude of baseball pundits, who went 0-for-63 on predicting either the Red Sox or Cardinals to make the World Series. In fact, not one pundit picked the Red Sox to win even their division. Well, the MLB pundits now have some company, as none of the 30 college pundits we tracked (from ESPN, CBS, and NFL.com) picked either Florida State or Auburn to make the BCS Title game. Instead, here is what they predicted going into the season. We also tracked 35 pundits who make predictions on conference winners for each of the six "BCS Conferences." First, here were the collective picks. Only eight of the pundits picked Florida St to win the ACC, while the pundits whiffed entirely on the American, Big Ten, and SEC. Now here are the individual results, sorted by Yield. Recall that Yield measures the average payout had you bet $1 on each of the pundit's predictions based on moneyline odds. The idea is to give pundits more credit for out-of-consensus picks. To make your own predictions on the BCS Bowl games and build up your own public track record, visit our NCAA Football master page. Kiper Vs. McShay Vs. Mayock Death Match: Who&apos;s The Best Mock Drafter? How Have NBA Pundits Fared In The First Round Of The Playoffs?